NEWS: THE TRACK RECORD Newsletter Reissued on CD! A Discussion with DAVID PAULIDES of NABS. David Paulides and North America Bigfoot Search (http://www.nabigfootsearch.com/) have just released the collected, complete 174-issue run of the newsletter of the Western Bigfoot Society and Ray Crowe, The Track Record (view it on Amazon through this link), on a computer-viewable CD (an Adobe Reader PDF format document). 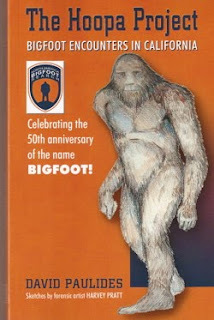 Bigfoot Books decided to have a talk with Mr. Paulides about this exciting new resource, Ray Crowe, his bigfooting work, and about Bigfoot topics in general. This interview was conducted by email in mid-October, 2009, and has been only very slightly edited for format. Dave is the author of two notable and acclaimed, though also sometimes controversial books, The Hoopa Project and Tribal Bigfoot. The first was winner of the 2008 Crytozoological Book of the Year, awarded by Cryptomundo.com. The second one expands upon the principles of the first, extending its range to other areas of Northern California, Southern Oregon and beyond to Minnesota and Oklahoma. In both you will find new methodologies and sightings, as well as interesting theories on such matters as the possibility that the Bigfoot species is more human than previously thought, and not an "ape." READ ON--this isn't just an advertisement! Note: Dave specifically stated that he did not want to discuss certain "controversial" issues, and we have endeavored to respect that wish. He does, though, bring them up a bit all on his own. Note, too: All colored text parts in this blog are tested and legitimate Bigfoot site links--check them out for more information, or just roll over them with your mouse to see the site address. Many of them are links to the fine Squatchopedia Wiki pages. BIGFOOT BOOKS: Hello Mr. Paulides. The Track Record on CD is an amazing recovery of a lost resource for the Bigfooting field in the 21st Century. Thanks to you and NABS (North America Bigfoot Search) for doing it! Now, for those readers who may not know the man and his influence, could you tell us a bit about Ray Crowe and his Bigfooting organization, research and newsletter, and perhaps what his approach to Bigfoot research was? DAVID PAULIDES: Ray established the Western Bigfoot Society out of his used bookstore in Hillsboro, Oregon. He had a lifelong interest in crypto topics and soon started a newsletter that he called, “The Track Record.” Ray was one of those people that got along with everyone and that served him well for making and keeping contacts throughout the world. 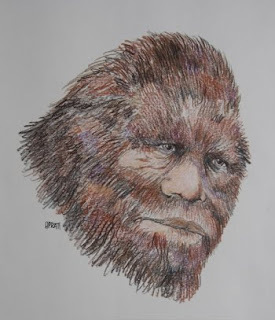 His passion was bigfooting but he entertained items that included UFO's, chupacabras, Loch Ness Monster and many other crypto topics; but, his true love was bigfoot. He produced the newsletter for 16 years, 3000 pages that included information from all parts of the world and every state in the U.S. NABS saw the value in the document and when Ray decided to sell his research, we immediately bought that and all rights to his writings. Two years later and after hundreds of hours of documentation, we released The Track Record on CD along with an 80 page WORD document that is a master index of those 3000 pages. Ray had a policy to print just about anyone's sighting. He didn't go into the field and validate everything but he did go out and conduct field research. He was friends with many of the old time researchers and several of their reports included in the TR are very fascinating. I remember that when I originally met Ray and expressed my admiration for his work he told me "keep your skepticals on." I did ask him what his views on bigfoot were, meaning did they migrate, were there different species, did they have special abilities, etc. Ray looked directly at me and stated, "The more you read, the more people you interview, and the more time you spend in the field, the more you realize you really don't know much about our big friend." I think Ray was right! The Track Record is truly a bigfoot researcher’s encyclopedia of information. Ray painted the picture and NABS put the frame on it. Image, David Paulides in his formally-attired author photo. 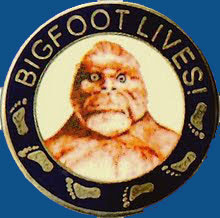 BIGFOOT BOOKS: Yes, I've always been impressed with that “Wear Your Skepticals” slogan on every issue, especially as during Ray's time active in the field he was perhaps kind of like a bigfooting Art Bell (original host of Coast-to-Coast AM), operating a clearing house for information on things that otherwise people mostly would just not have heard about. In the few issues I'd read before seeing your new CD version it seemed to me that Ray was covering some of the “weird” side of Cryptozoology, often moving more into what we'd have to call the "Paranormal." But then, he was operating at a crucial time (when did he get started? ), when the old hoopla over Bigfoot had faded somewhat, but the internet age had not yet begun to take hold. Groups like NABS and BFRO enable, like never before, sightings reports and information sharing, not to mention the myriad regional groups, blogs, conferences and online radio shows. Also, there seems to be a much higher level of technology and scrutiny applied to reports now, for example with NABS using affidavits and BFRO (Bigfoot Field Researchers Organization) excluding a large number of unconfirmed or “strange” reports from what they will put on their public web site. In your view, aside from its obvious historical value, how does the Western Bigfoot Society research and newsletter hold up today? How has the field changed from the time of its founding until now? And how have views of and approaches to the Bigfoot phenomenon evolved? Also, what sorts of evidence or sightings did Ray Crowe himself have? DAVID PAULIDES: Remember, Ray represented all views, researchers, etc. Example, John Green hates Peter Byrne and yet both contributed greatly to the newsletter. Ray was able to walk that fence line so well that all research was uniquely represented. Ray's newsletter was something that was greatly needed at the time. It was a method to dispense information across North America before the internet. There still isn't a bigfoot search engine anywhere that has a searchable internet database for sightings. There are several that exist for states and counties but, there isn't one single location where you can look-up "brown colored bigfoot" sightings… until now--the TR's index has this ability. To the best of my knowledge Ray never actually had a sighting. He had many unusual incidents happen to him but I think the sighting always eluded him, as it has many researchers, including myself. The sightings in The Track Record actually hold up better than almost anything we are currently reading. Most witness descriptions mimic much of what NABS has found today, there is a distinct human quality to bigfoot. The more we read the historical record of sightings, the more you realize that witnesses have stated that the biped is very human, and, this is much of what you find in the TR. The bigfoot field has changed greatly since Ray first introduced the newsletter. Peter Byrne was the first researcher to enter the field with significant funding and brought a level of professionalism and protocol to the arena. Since Peter, there have been very few researchers who have been able to commit to the research on a full time basis and this is what is needed if you want to make significant contributions. Probably the one group that made significant contributions to research without any funding was the "Bay Area Group," headed by George Haas. Where Ray was the absolute expert at documenting and dispensing information, George and his team did some incredible research on a shoe string budget. Much of their research still is extremely credible and timely and we are shocked it didn't get more publicity at the time. NABS is posting all of George's Bigfoot Bulletins on our website. BIGFOOT BOOKS: Isn’t Haas’ and the Bay Area Group’s (B.A.G.) The Bigfoot Bulletin the first newsletter on Sasquatch, starting in the late sixties? Before that there wasn’t much being published aside from Ivan Sanderson, John Green, and Roger Patterson’s book. The seventies were a heyday for Bigfoot, but a lot of that was kitschy pop-cultural stuff--even though most of the early foundational Bigfoot books were published at that time. Arising out of this period and the lassitude of the 1980s we had Ray Crowe’s work arise, and then Daniel Perez’ The Bigfoot Times (publication starting in 1998, and still at it today, despite the internet). The Track Record can then be seen as an important transitional effort, bridging the past and its laboriously typed and cut-and-pasted publications sent to very small groups of the interested few to today’s slick and widely read web sites and glossy Hancock House-style books. Since the late 1990s there’s been a virtual explosion of these publications, and Bigfoot is seen on TV, with its myriad cable specialty channels, more than ever before. It is difficult to find anyone now who does not know at least the rudiments of the subject; even though what they often know is just the myths and stories of hoaxes. By way of example, my own humble Bigfoot’s bLog has garnered over 7,000 site hits in only the first six months or so I’ve been monitoring. I don’t know the numbers of readers for Crowe’s original Track Record--do you? I would bet the circulation was fairly small, representing even more clearly how much dedication it took to produce it. Would you say, then, that The Track Record represents a kind of bridge to the current era? It seems significant to me that, as you say, the newsletter represented so many researchers from beyond the core group of the Western Bigfoot Society. I mean, John Green basically stopped writing books after Apes among Us. So it is important that he is represented in The Track Record during the time that preceded a work like Meet the Sasquatch, and his appearance at meet-ups such as the 2003 Willow Creek International Bigfoot Symposium. Do you think that this semi-underground newsletter publishing, and the small groups that made them, kept Bigfooting alive during a period where serious interest and research could have been buried and lost in the somewhat foul wave of popular cultural exploitation? It seems that one can trace a lineage, from the early “elders,” to the newsletters and groups, and then a handing off to the modern period and new generation of the internet explosion and a sophisticated, new NABS/BFRO-type pursuit of the subject. Also, not having been able to read The Track Record until now, save in a strange photocopied book assemblage that has since been stolen from the Willow Creek Library, I wasn’t aware that so many notable Bigfooting figures had published in the newsletter. How much of it was Ray Crowe’s writings, how much reader and sighting submissions, and how much consisted of writings from the more known, professional-type researchers of the time? And also, as you mention it, would you say that Ray himself would agree with your and NABS’ theories about the humanness of the Sasquatch? When you quoted Crowe saying the more we look at the Bigfoot phenomenon the more we realize how little we know about it (“him”? ), does that imply that the more we look the more we see it as a being that is no mere animal, that it has mysterious or maybe even more human ways? And do you intend, perhaps, to publish the Haas newsletter in some non-internet way, like you have done with Crowe’s? DAVID PAULIDES: Peter Byrne kept professional investigations in our field alive when he received funding for his project. There's been a long line of amateur and con artists that have entered the Bigfoot arena, but there have been very professional approaches to research. It's really not hard to understand why many stay away from our field of study. Just go to a conference, read newsletters and you see the amount of jealousy, back stabbing and outright lies that some people make about others, it's embarrassing. As I've told everyone who will listen, DO NOT believe ANYTHING you read about NABS or our people unless you read it on our website or you hear me say it. The last 9 months has been a continuous series of lies, fabrications and exaggerations about us by people who call themselves "researchers" perpetuating these myths. No, you won't hear us respond to these ridiculous accusations and we won't be intimidated into backing away from research into areas that need a professional approach. We have resources, personnel and access to technology and professionals that no other group has, and, with that, we have had many things given to us because of our approach to the topic and people's belief in our cause. The Haas newsletters are posted on our website, free. They are only a fraction of the size of The Track Record so we have the ability to post them, http://www.nabigfootsearch.com/. [Ed. note: GO HERE, they're great! : http://www.nabigfootsearch.com/Bigfootbulletin.html. BIGFOOT BOOKS: A few more questions, then. Let's not forget that Ray is still alive and kicking. What is he up to now, and why did he retire? I know he had some health issues, but how can one get Bigfoot out of the bloodstream, so to speak? DAVID PAULIDES: Ray did have some serious medical issues and I believe that he is living in an assisted living home in northern Oregon. BIGFOOT BOOKS: On the “Squatchopedia.com” website there is a mention of Tom Biscardi funding and producing The Track Record newsletter for a while, in its last days. Do you know of this, and what was Biscardi's role in producing or directing the publication, if any? DAVID PAULIDES: Ray was having problems funding the newsletter and Biscardi stepped in at some point and started to subsidize it at some level. I suppose it gave him more access but the newsletter and its content didn't change much. BIGFOOT BOOKS: It’s so great that you've rescued these newsletters from possible oblivion! Comparatively, I always wonder what was in the Rene Dahinden archives, but we see next to nothing being released to the bigfooting community by his sons and whomever else may have inherited them. The Bigfoot Bulletin stuff on your website is a great addition, too. Thanks! What else besides The Track Record was contained in the Ray Crowe materials and archives? Was there any interesting evidence, footprint casts, hair or photos, cultural items and other stuff that might be released by NABS? DAVID PAULIDES: We have dozens of letters from Rene and probably more from Ray Wallace. In the future we will release some of these letters as they give the reader quite an insight into the internal politics of this arena. We know that many have bashed Ray Wallace in the past, but I guarantee that the man knew things about Bigfoot that few at the time did. He surely had contacts and insight that few did at the time, to be as accurate on his sightings as he claimed. When you read what Wallace wrote in a time prior to the internet you can readily see that he knew this topic well and he gave much credit to the Native Americans, something that piqued our interest early on. We also have many letters and sighting reports from John Green. John has always been on the ape side of the fence and has not given much credence to the human side of the genetic scale in regards to Sasquatch. If we do release these letters you will be able to see a very opinionated and sometimes gruff side of Mr. Green that many don't want to see or refuse to acknowledge. Some of these conversations have taken place recently. This statement is not to bash John, quite the contrary. He entered this arena at a time few would, and, he developed the protocol of requiring affidavits from his bigfoot witnesses, a brilliant move. If a witness to a bigfoot event doesn't want to sign an affidavit, there should be a careful examination of the issue. Everyone who is watching should be asking, "why wouldn't the witness sign an affidavit to what they say they observed," and, I'm sure, this was john's mindset when he initiated that process. NABS understands John's opinionated attitude; heck, he's been on this topic since before I was born. NABS does believe that every researcher should be open to developments garnered through technological advancements, and, if you haven't kept up with what technology can do, it may be hard to accept and appreciate. Much of Ray Crowe's casts, hair and other evidence has been loaned for the past 6 months to the Bigfoot Discovery Museum in Felton, which they have put on display. BIGFOOT BOOKS: So how did Felton (Bigfoot Discovery Days III) go? DAVID PAULIDES: Scott Nelson is riveting. His evaluation of the Sierra Recordings is very, very convincing that our friends [Bigfoot] use language. BIGFOOT BOOKS: Yes, I found Nelson's cryptolinguistic presentation very interesting at the Yakima Bigfoot Round-Up this year. To many, on first impression, the Sierra Sounds might sound kind of silly, but under Nelson's analysis unique language-like structures and patterns do emerge that make it quite difficult to debunk and dismiss the recordings out of hand. I'm sorry to have missed your presentation. I still haven't had the chance to see you at any of the conferences. Would you mind briefly telling we who were not there to hear what you talked about, and what new and interesting directions is your and NABS' research taking these days? 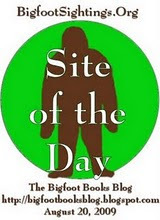 Are there any other things you'd like to say to the bigfooting community, or at least the readers of Bigfoot Books' blog? DAVID PAULIDES: NABS is continuing down the path of getting a complete understanding of the Bigfoot hair issue. The public has been collecting the hair for 50 years but little has been done to positively identify and extract DNA. This project is ongoing. In the past 18 months NABS has been given affidavits and other evidence on a variety of topics that may be construed to be controversial. We do not believe that an individual would perjure themselves over a Bigfoot-related issue, so, we put significant emphasis when someone comes forward with a claim, signs an affidavit and names individuals. I think it would be a gross injustice to the community if we shelved this evidence and didn't investigate. Many in our arena are not used to professional investigations. It appears that our world revolves around rumor, innuendo and finger pointing. We do not believe in this type of journalism or research. Years ago I was working a child molestation case where the victim named a high profile individual in the community. We worked the case for months without ever notifying anyone of what we were exactly investigating. If the allegation was found to be untrue, we didn't want to ruin the suspects name in the community. The last contact any professional investigator has in any case is with the suspect. The investigator needs to know more about the suspect than he knows about himself, he needs to know every possible answer that may be placed on the table and every excuse that could be used. In the case of the molestation, the suspect gave us information that could exonerate him. We later had the victim come in for a polygraph test. Just as they were getting hooked to the machine, they admitted the allegation was a lie. This is why you don't go public with allegations until you have proof beyond a reasonable doubt. It would appear that some people in our community call themselves journalists yet they won't post what others send them, and they aren't interested in the facts. They like to bash people over innuendo and they have no belief in the statement, "if you don't have anything nice to say, don't say anything at all." NABS has a policy that we won't cater to tabloid journalism, and we truly don't care what the people who have these sites think about us. We are privately funded, we are polite, professional, and will go deep where others will not. BIGFOOT BOOKS: Dave, for those who have not read your books (or for those who still wonder a bit), could you tell us about the seemingly unlikely course you took going from being a policeman and detective to a Bigfoot hunter and investigator? In the public mind these are seen as kind of... contradictory. What grabbed you and pulled you into the world of the Sasquatch mystery? DAVID PAULIDES: I have never called myself a bigfoot HUNTER.... They are not contradictory. I made a career of telling the truth, digging deep for facts, building partnerships and respecting people's rights. I know that the background of myself and the people I work with has many in our community intimidated. Most researchers in the bigfoot community have never attended an investigations, interview, or even an evidence collection class; we've done all of this multiple times. Many have the wrong opinion of us; but, almost every one of these people have never met us. I would encourage anyone who wants a realistic view of our organization, go to Hoopa, Happy Camp, Forks of the Salmon, Bena (MN), etc., places where we have conducted research, and ask those people how they were treated. I just got a note today from a witness in Happy Camp who stated NABS was viewed very highly by everyone in that community. My background in law enforcement and human resources has trained me well to treat everyone with respect. If you treat people the honorable way, they will do the same in return. In two years in Hoopa, word spread quickly that we could be trusted and witnesses were coming to us. BIGFOOT BOOKS: I fully understand that you did not want to talk about those "controversial" topics. The the bigfooting world can be such a soap opera of gossip and rumors, so much that people seem to forget the REAL GOAL. I must agree, from what I've heard anyway, by my experience in the Bigfoot Books shop here in Willow Creek, from the locals and people from Hoopa--they say good things about you and NABS (as distinguished, especially, from their prior mostly bad experiences with Mr. Tom Biscardi's GABRO group!). Do you think we are getting closer to proving to the world at large that the Sasquatch exist? And also, what do you think the ramifications and cultural impact might be, especially if the creature proves to be--as you have proposed--much more human than ape? BIGFOOT BOOKS: Dave, those were great answers. And this has been a great interview. Thanks! I sincerely wish you the best, and hope you have further success in your bigfooting endeavors. I am hoping this interview will help make your Track Record CD known more widely, and that folks out there will realize the significance of it and what NABS has done in publishing it. 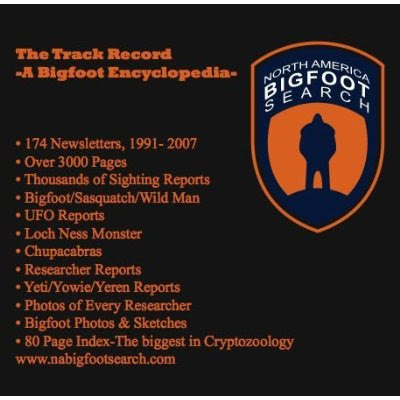 THE TRACK RECORD is available from NABS or on Amazon.com (just enter "track record bigfoot" in the Search box). List price is US$19.95. It is also available in-store or by email request from BIGFOOT BOOKS, in Willow Creek, CA. 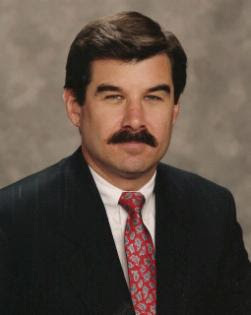 DAVE PAULIDES' BIOGRAPHY, as entered on Amazon: "Dave Paulides received his undergraduate and graduate degrees from the University of San Francisco, and, has a professional background that includes twenty years in law enforcement and senior executive positions in the technology sector. In 2004 he formed North America Bigfoot Search (http://www.nabigfootsearch.com/) where his investigative and analytical experience were invaluable in researching Bigfoot/Sasquatch sightings, encounters and behavior. He spent two years living among the Hoopa tribal members, listening to and recording their Bigfoot stories. The Hoopa Project is his first book, based upon his experiences in the Bluff Creek area of Northern California. David's second book, Tribal Bigfoot is a quantum step forward in Bigfoot research and allows for a common sense understanding of this elusive biped. These two books have been called the new standard for crypto research." 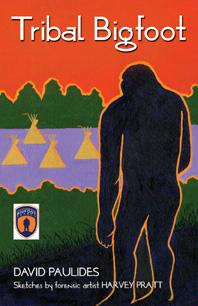 Image above by Harvey Pratt, NABS' amazing forensic Bigfoot artist, from the NABS website. THE NABS "ABOUT US" (from their web page): "North America Bigfoot Search (NABS) is a privately funded organization that had its start in Silicon Valley, California. A small group of technology executives had prior incidents in the woods of Northern California and dedicated resources for the research and investigation of the Biped. One significant difference between NABS and every other Bigfoot organization is our dedication to stay on a regional project until every possible angle of every sighting has been researched, witnesses interviewed, locations and food sources understood, and an extensive list of variables answered. Our organization will stay in a community sometimes for months/Years and thereby develop the trust, integrity and contacts to make our research valuable and enlightening. The organization is interested in all regions of North America and can have a researcher dispatched to a specific area in your state in hours. We do appreciate information on any Bigfoot sighting anywhere in the world. Our researchers and investigators have extensive experience in their specific field and may have knowledge about your area that is unique. Our ability to keep a researcher on site to develop that "unique" knowledge has assisted our organization in developing advanced techniques in gathering information. Our ability to communicate and align with all facets of government, business, academics and various levels of society make our field personnel an unusual commodity in Bigfoot circles. The researchers we field may be from any one of a variety of academic backgrounds, private industry and university adjunct positions. We pride ourselves in being professional, discrete and open to all ideas and feedback. An article about The Hoopa Project appeared fairly recently HERE, in Humboldt County's local paper, The Times-Standard. Go to the NABS website to find loads of interesting materials. Not just the Bigfoot Bulletin, but David Paulides' own blog, and many other great features abound there: http://www.nabigfootsearch.com/. Explore the sidebar to the left of the page--you won't be disappointed. An article about Ray Crowe's interesting fictional book, The Bigfoot Bar & Grill: HERE. We have a rare copy of it available here at Bigfoot Books. There is a REAL Bigfoot Bar and Grill, in Salem, OR. "I quote human: 'Can't We All Just Get Along?' Bigfoot very angry. Too many humans think crazy human drama what really matters. Bigfoot hates human soap opera. Hate!!! Bigfoot says Ha Ha Ha! Human bigfooters argue, accuse each other of bad things, then they see blobsquatches, and Ha Ha! I get away into the forest. You never even smell me, not ever see me!" Interview rights reserved, copyright 2009, Steven Streufert, but may be used with permission and by all rights at least a citation and reference, and a link to this blog. The proprietor of Bigfoot Books bookshop, Steve sometimes does other things besides Bigfoot/Sasquatch... MySpace, Facebook, Email. COMING UP, we hope (if all goes well)! : An interview with BIGFOOT TIMES publisher and editor, DANIEL PEREZ. The Bald Hills Road and Klamath Trip, not to mention the Leap of Skepticism and Blobsquatching blog entries are on hold for now--there's just too much going on!